To participate, tag your post with DPchallenge and include a link to this post to generate a pingback — and make sure your post has been specifically published in response to this challenge. We might just highlight some of our favorites on Freshly Pressed on Fridays, or in our monthly newsletter. Welcome to the first Daily Post writing challenge of 2014! You might be expecting a New Years’-themed challenge like your blogging resolutions, or a 2013 retrospective — but we read your blogs, and we know lots of you have already written those. Let’s kick off 2014 in a different way: with a cliffhanger. You’ll need to think through the story you want to tell, and then figure out where to split it in half for greatest dramatic effect. Tell a personal story, but withhold the unexpected ending. Write a forceful opinion piece, but don’t reveal your point of view. Share a photo essay, but hold back the final, perfect image that ties the rest together. Get our mouths watering with a description of your favorite dish, but make us wait for the recipe. Show us the steps in your last DIY project, but wait on sharing how it turned out. Blogging is about sharing our stories, and a good story keeps readers hooked. This week, figure out how to turn your story into a nail-biter. Publish the two posts whenever you’d like; on the same day, a day apart, or a week apart, depending on how tense you want to leave your readers. Zero to Hero folks, you’re welcome to get in on the action! 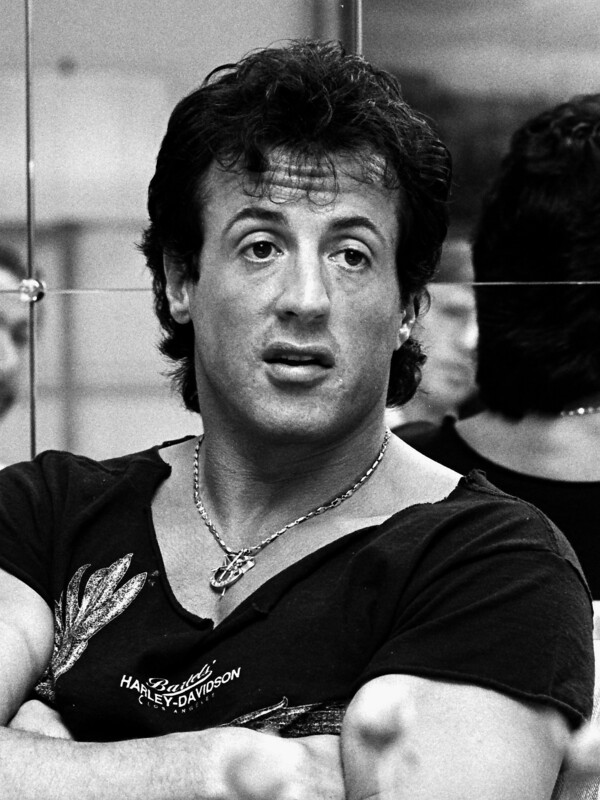 Bonus points also available for anyone else who manages to work Sylvester Stallone into their post. Ready to up the tension? Write! Is there a particular length if writing that’s preferable? Nope! Use however many words you need to tell your story. It sounds interesting . Is there a word limit? Let us know please. No, write as much or as little as you’d like. Great Challenge! Thank you. I will start working on this now. Sylvester Stallone move over. Aw, don’t leave us hanging! If you link to this point in yours, it will create a link to yours at the bottom of the page — that’s a pingback, and it helps other challenge participants to find your post. If you scroll down, you’ll see there are already some pingbacks. To learn more, click on the link in the post above. Duane, copy the url (address) of this post. Then embed it (paste) as a link into any word on your post. For example: Weekly Writing Challenge: Cliffhanger. Embed the link into the word Cliffhanger, then click on it after you publish the post. That will link back here then place a link to your post. This is a good one. I wrote Part One a short while ago, and need to finish the story. Thanks for the inspiration! Let me know what you think happened next. Would it be bad to write a fan fiction story with suspense? Not at all! This is completely open-ended. We do ask that posts be written specifically in response to the challenge, so keep an eye out for next week’s! Delightfully, am begining to keep track of wordpress blogosphere. I think commiting my time to it will definately make me a better person. Well, you didn’t mention poetry but I figured I’d stick my two cents in. “Hey, I didn’t mention a lot of things.” -that made me burst out laughing! For two days my inbox has been silent. Notifications of new posts as well as WP-DailyPost/Prompt challenges have gone MIA/AWOL, and I cannot figure out why. I found you, however, and this is a great challenge! This sounds great! Looking forward to it! http://onesahmscrazylife.wordpress.com/2014/01/06/my-dearest-bundle/ It’s my first DP Challenge since I’ve been back to blogging. Please check it out and give me some feedback. Anything is greatly appreciated. Can’t wait to get my computer out of the ER and see what kind of mind it has now, after its brain transplant. It may take over my blog! AAARRRGGGHHH! I’ll have to write about that when I can get my hands on it (using the one at work on my lunch hour doesn’t quite compensate). Loved this prompt, wanted to tell this story for SO long. I had no intentions of taking part in this challenge, but the story worked right into it. it’s seems like yesterday, but i have this blog for a while. starting with my first entry on jan. 1, 2009, i made a goal of posting 365 more. it took five yeers, but i’m proud to report that i’ve made it last december. it wouldn’t have been possible without your encouragement and moral support. thank you very much. now i’m faced with the decision on whether to continue maintaining it or to simply pull the plug and fade away. Build on your success; keep going! @ladypristine1, you’ll want to post your entry on your own blog, not in the comments here. I’ve edited it out for now. Once you publish it on your blog, feel free to leave a link in the comments here so others can visit you and read it! O ok thank you so much. This is such a cool challenge. No word limit, right? Also, are all genres welcome? Poetry, sci-fi? A friend was asking. Yup — no limits/guidelines on the kind of writing, other than the “cliffhanger” element! 204 Responses While this challenge is closed to new entries, we encourage you to visit the Reader to find other avid bloggers. Wah Wah Zine Vendetta on the Mountain: the gripping conclusion. Every day adventures in Asia (mostly) The government owes me money!! Miss Spicy Hat N' Sugar Socks Classic Lasagne! derekalanwilkinson Suicide no. 19: Would You? diamondroseranchmn Weekly Writing Challenge – Cliffhanger! A Little Smile Photography I finally found Who i was looking For. Diary of Secrets Living with Depression & Anxiety – Finding Meaning? MARGARET ROSE STRINGER Weekly Writing Challenge: Cliffhanger! Reflections and Nightmares- Irene A Waters (writer and memoirist) Weekly Writing Challenge: Cliffhanger! thewhitewaylife Was it THE cabin? My Play Nook Where’s The IT Guy? imagination Weekly Writing Challenge: Cliffhanger! Dear Blog '14 Weekly Writing Challenge: Cliffhanger! diamondroseranchmn Weekly Writing Challenge: Cliffhanger! The Backwords What Am I? Finding Life Weekly Writing Challenge: Cliffhanger! The Fiction of Michael R. Wilson B.O.G.O. Blog Post! !